This tutorial is only intended for users running the Internet Explorer 11 Web browser on Windows operating systems. As you browse the Web with IE11, a significant amount of data is stored on your local hard drive. This information ranges from a record of the sites that you have visited, to temporary files that allow pages to load faster on subsequent visits. While each one of these data components serves a purpose, they can also present privacy or other concerns to the person using the browser. Thankfully, the browser provides the ability to both manage and remove this sometimes sensitive information through what is essentially a user-friendly interface. Although the sheer amount of private data types may seem overwhelming at first, this tutorial will turn you into an expert in no time. First, open IE11. Click on the Gear icon, also known as the Action or Tools menu, located in the upper right-hand corner of your browser window. When the drop-down menu appears, select Internet options. The Internet Options dialog should now be displayed, overlaying your main browser window. Click on the General tab, if it is not already selected. Towards the bottom is the Browsing history section, containing two buttons labeled Delete... and Settings along with an option labeled Delete browsing history on exit. Disabled by default, this option instructs IE11 to remove your browsing history as well as any other private data components that you have selected to delete each time the browser is closed. To enable this option, simply place a check mark next to it by clicking on the empty box. Next, click on the Delete... button. Preserve Favorites website data: Selected by default, this option instructs IE11 to preserve stored data (cache and cookies) from your Favorites even when you choose to clear those particular data components from your hard drive for all other websites. Temporary Internet files and website files: Selected by default, this option instructs the browser to remove images, multimedia files, and even full copies of Web pages that have been stored in an effort to reduce page load times on subsequent visits. These files, as a whole, are also known as your browser's cache. Cookies and website data: When you visit many websites, a text file is placed on your hard drive that is used by the site in question to store user-specific settings and information. This text file, or cookie, is then utilized by the respective site each time you return in order to provide a customized experience or to retrieve data such as your login credentials or session data. Selected by default, this option instructs IE11 to remove all of these files from your hard drive. 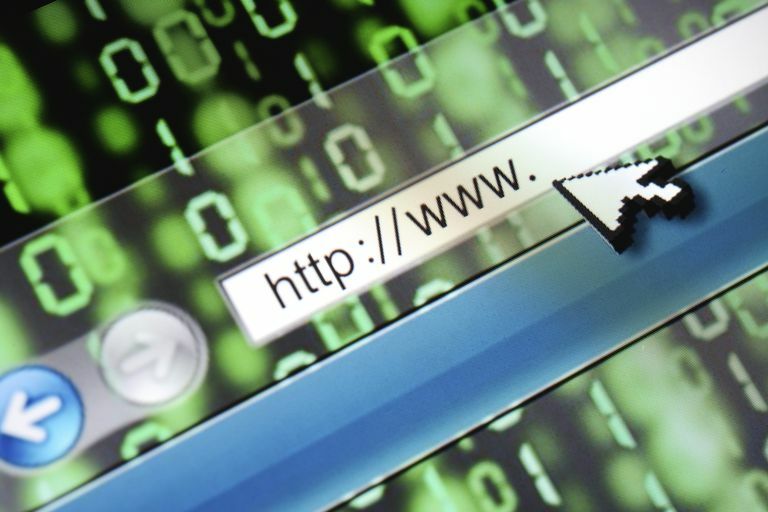 History: IE11 maintains a list of addresses, or URLs, of all websites that you have visited. Selected by default, this option instructs the browser to completely delete this record from your PC. Download History: Just as it maintains a record of all sites that you have visited, IE11 also keeps track of the files that you have downloaded through the browser. When selected, this history will be wiped from your hard drive. Form data: Whenever you enter information into a Web form, IE11 may store a portion of that data. For example, you may have noticed when filling out your name in a form that after typing the first letter or two your entire name gets auto-populated. This is because your browser has stored that data from an entry in a previous form. Although this can provide a welcome convenience, it can also become a privacy issue or security risk. When selected, this option instructs the browser to delete all form data that has been stored locally. Passwords: With so many passwords needed nowadays on the Web, it can be a welcome feature when a browser such as IE11 offers to store them for later use. However, you may not want your passwords to be stored locally, especially if other people use the same computer. When selected, this option instructs your browser to obliterate all saved passwords from your PC. Tracking Protection, ActiveX Filtering and Do Not Track: Your browser protects you in many ways while you surf, such as preventing harmful plugins from running and notifying you when a website may be sharing your online behavior with others. Some of these actions generate data which is stored locally, including a list of sites that may be excluded from ActiveX Filtering as well as data utilized by the browser's Tracking Protection feature. When selected, this option instructs IE11 to delete all of this information, including stored exceptions to Do Not Track requests. Now that you have a better understanding of each of these data components, select those that you wish to delete by placing a checkmark next to its name. Once you are satisfied with your choices, click on the Delete button. Your private data will now be deleted from your hard drive. Return to the General tab of IE11's Internet Options dialog. Click on the Settings button, found within the Browsing history section. The Website Data Settings dialog should now be displayed, overlaying your browser window. Click on the Temporary Internet Files tab, if it is not already selected. Several options related to IE11's Temporary Internet Files, also known as cache, are available within this tab. The first section labeled Check for newer versions of stored pages:, dictates how often the browser checks with a Web server to see if a newer version of the page currently stored on your hard drive is available. This section contains the following four options, each accompanied by a radio button: Every time I visit the webpage, Every time I start Internet Explorer, Automatically (enabled by default), Never. The next section in this tab, labeled Disk space to use, allows you to specify how many megabytes you wish to set aside on your hard drive for IE11's cache files. To modify this number, either click on the up/down arrows or manually enter the desired number of megabytes in the field provided. The third and final section in this tab labeled Current location:, contains three buttons and allows you to modify the location on your hard drive where IE11's temporary files are stored. It also provides the ability to view said files within Windows Explorer. The first button, Move folder..., lets you choose a new folder to house your cache. The second button, View objects, displays currently installed Web application objects (such as ActiveX Controls). The third button, View files, displays all Temporary Internet Files including cookies. Once you are done configuring these options to your liking, click on the History tab. IE11 stores the URLs of all websites that you have visited, also known as your browsing history. This record does not remain on your hard drive indefinitely, however. By default, the browser will keep pages in its history for twenty days. You can increase or decrease this duration by modifying the value provided, either by clicking on the up/down arrows or by manually entering the desired number of days in the editable field. Once you are done configuring this option to your liking, click on the Caches and databases tab. Individual website cache and database sizes can be controlled in this tab. IE11 offers the ability to set limits on both file and data storage for specific sites, as well as notify you when one of these limits is exceeded.